We've created the best Magento hosting platform, engineered to deliver the fastest possible speed, security and reliability, all backed by effective 24/7 support from Magento experts. Integrated with CloudFlare's CDN and Railgun optimization . With over 100 datacenters worldwide, your store will be supercharged for visitors globally. Our super-charged Magento hosting delivers insane speeds that outperforms other 'so-called' optimized platforms, including HTTP/2 support, the world's most powerful Magento page cache, LiteMage, session and backend caching with Redis and a lightning fast SSD SAN. We guarantee your site will load faster and be capable of handling more visitors than competing platforms, or we'll give you your money back. From acquisition to conversion, a faster web site will help boost your revenue and accelerate your store's growth. 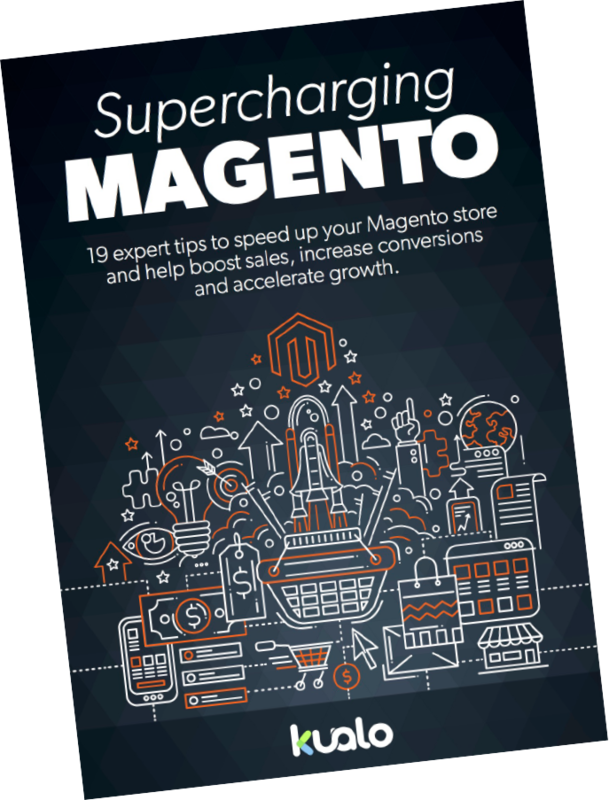 Download our free e-book to discover why speed is so important and how you can optimize your Magento store to achieve sub-second load times. Quick application-level changes to optimize Magento for fastest speeds. It's not possible for us to list 'set' pricing for these plans as they are capable of scaling from any size - we can fully customize the number of cores, disk space and memory available. With Enterprise plans, your store will run on multiple servers, and the quantity of servers will again depend on your exact requirements. One thing is certain though - our solution will be significantly cheaper than Magento's Enterprise edition.